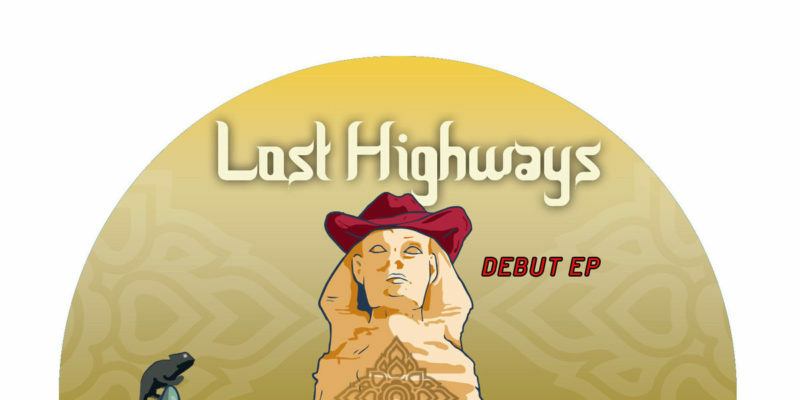 Driving under the label of ethnic country music, Lost Highways bring together elements of country, folk, and middle Eastern musicianship throughout their releases, often taking on classic songs and throwing their own energy and style into the process. The unmistakable Black Betty kicks of their Debut EP with an upbeat vibe and an organic gathering of instrumentation that easily uplifts. The band’s leading vocalist offers a genuine Western feel, gritty and emotional, yet confident – easily able to carry this and every other song on the project through with strength and character. The Lost Highway follows the opener and mellow things out beautifully. Those middle eastern flickers of riffs and later the solo really add something special in this setting – it fits, it drives with soul and a clear connection to the moment, and the voice that echoes out in the distance towards the end furthers this overwhelming effect of togetherness and calm that the song presents. There’s something deeply reflective about the way this song has been arranged and portrayed, there’s heart to the performances, and though the sound is somewhat minimal – there is absolutely nothing missing from the journey. It feels rather epic, softly powerful, important and entrancing as it pours through. The contrast between the high energy of the opener to this more spacious, reverb-soaked moment works wonderfully. The entire EP continues to impress in this way, engaging and enthralling its audience with equal parts familiarity and freshness. Those unusual qualities give the band a slight edge of character, but this is without taking anything away from the skill and soul of their work – far from it. The sound makes sense, and you wonder why we don’t hear these two worlds collaborating in music far more often. A pleasure to listen to and a live show would be a total joy. Download the EP via Bandcamp or stream it on Spotify. Find & follow Lost Highways on Facebook or visit their Website.